_What is an independent midwife? 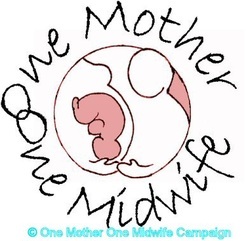 Independent Midwives are fully qualified & NMC registered midwives who have chosen to work outside the NHS in a self employed capacity. The legal role of a midwife encompasses the care of women and babies during pregnancy, birth and the early weeks of motherhood. Traditionally one midwife gives care to a woman and her family throughout a pregnancy, giving them all chance to get to know one another. Having established a trusting relationship the same midwife would care for the woman as she birthed her baby and support the family after. Research has shown that many women still want this type of midwifery care and that it helps women to cope with the challenges of labour and the transition to parenthood. This is the model of care that an Independent Midwife provides. Home-birth supported by a known midwife has repeatedly been proven to be as safe, if not safer, than hospital birth for the majority of women. It offers enormous physical and psychological advantages for you and your family: Labour is shorter, fewer drugs and medical interventions are needed, the normal vaginal birth rate is higher, babies are born in better condition and women have greater birth satisfaction.